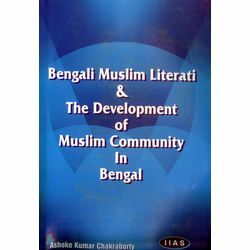 The present study seeks to outline the evolution of Bengal Muslims' intellectual and cultural growth during the late nineteenth and early twentieth centuries. Based on primary Bengali sources, it focuses reaction of the writers engaged in widespread debates and discussions on various socio-religious, economic and political problems confronting the Muslims of Bengal under colonial rule. In the writings of the literati we come across many serious issues concerning their ideologies, ambivalence and their search for a comprehensive model for social regeneration. Notwithstanding their differences of opinion, the ideal of emancipation of intellect as advocated by some writers, their stress on the need for reconstruction of Islamic thought process as well as reappraisal of old values in the light of new social and economic realities to the extent to which they are not in conflict with the fundamental philosophy of life, was definitely a positive step towards the growth of a healthy Muslim society in Bengal. The study is particularly significant in the context of bitter conflicts among the religious minorities of South Asia. The monograph bears out the sign of painstaking research in the different libraries and private collection of India and Bangladesh.. This volume is likely to be very useful source book for anyone interested in the social history of Bengal. The present study seeks to outline the evolution of Bengal Muslims' intellectual and cultural growth during the late nineteenth and early twentieth centuries. Based on primary Bengali sources, it focuses reaction of the writers engaged in widespread debates and discussions on various socio-religious, economic and political problems confronting the Muslims of Bengal under colonial rule. In the writings of the literati we come across many serious issues concerning their ideologies, ambivalence and their search for a comprehensive model for social regeneration. Notwithstanding their differences of opinion, the ideal of emancipation of intellect as advocated by some writers, their stress on the need for reconstruction of Islamic thought process as well as reappraisal of old values in the light of new social and economic realities to the extent to which they are not in conflict with the fundamental philosophy of life, was definitely a positive step towards the growth of a healthy Muslim society in Bengal. The study is particularly significant in the context of bitter conflicts among the religious minorities of South Asia. The monograph bears out the sign of painstaking research in the different libraries and private collection of India and Bangladesh.. This volume is likely to be very useful source book for anyone interested in the social history of Bengal.